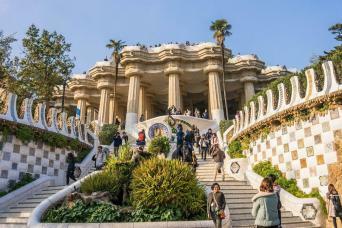 On this guided Barcelona day tour, enjoy the essential works of Gaudi like the Sagrada Familia, Park Güell, Casa Batlló, and more! 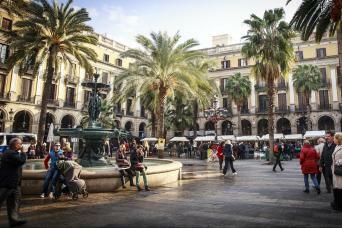 This city tour of Barcelona will take you to to see Casa Batlló, Las Ramblas, and more. 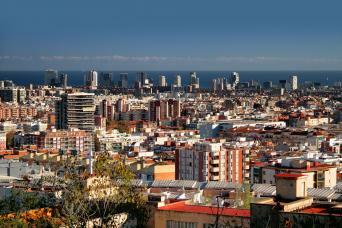 A ride and entrance to Parc de Montjuïc is included! Spend the morning at Montserrat Mountain on this tour from Barcelona. Visit The Basilica de Montserrat, taste 4 liquors made by the monks, and more! Visit the cities of Ávila and Segovia on this day trip from Madrid. See the Roman Aqueducts, Alcazár of Segovia, the Walls of Ávila, and more! This guided tour from Barcelona will take you to Llopart and Torres Cellars for VIP tours and tastings with tapas - a must do for all wine lovers! Venture up Montserrat Mountain on this afternoon tour from Barcelona. Explore the Basilica de Montserrat, see La Moreneta, and more! Take a ferry to Tangier from Malaga on this full-day tour. Visit the Moroccan city and enter the Grand Soak and La Madina. Taste local cuisine, too! Visit the two cities of Girona and Figueres on this day trip from Barcelona. Enjoy the medieval architecture and entrance into the Dali Museum!